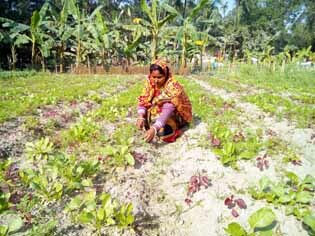 Grameen Alo is a registered voluntary organization working with disadvantage group of people in Bogra District since 2002. We believe in where people have rights to protect their respect, opportunities and participate in the family as well as in the society. Grameen Alo is committed to follow participatory approach in- establishing human rights & reduce gender based violence, increasing transparency & accountability in different sector, promoting women participation in decision making, reducing the disability of disabled peoples as a part of its program planning. Our main aim is to empower disadvantaged group of people with skill and knowledge to protect their rights and to develop them as respected and productive citizen. 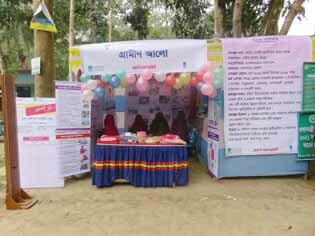 Over 12 years, Grameen Alo has become one of the most respected organization to its donor agencies, beneficiaries, partner CSOs and also to government line officers. 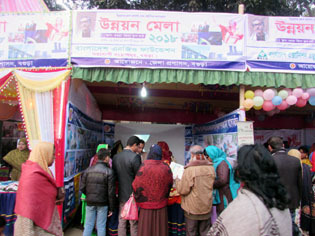 During this period, GA has succeeded to build sustainable partnership with Global Fund For Women (USA), USAID-PROGATI (DAI, USA), Manusher Jonno Foundation, Action Aid Bangladesh, South Asia Partnership (SAP)-Bangladesh, Swiss Agency for Develop & Corporation (SDC) and Swiss contact-Bangladesh, Bangladesh NGO Foundation (BNF), NGO Forum for public health, Centre for Disability in Development (CDD), Human Development Foundation (HDF), USC Canada-Bangladesh and other development partners. Grameen Alo tagged Trafficking, Environment, Information and Communication Technology and Corruption issues to group activities, because these issues have impacts over the women’s life. The field activities of Grameen Alo are specially trained up on the issues and they are skillfully raising awareness in the community. 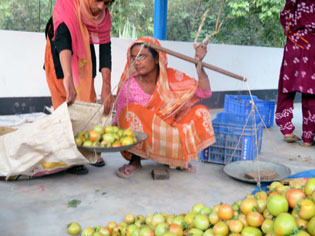 Grameen Alo is also a parent organization of Rural Women’s Society, which is registered under the society act 1860. It’s has very strong executive committee and accountable to promote strong voice for the disadvantage people. The organization is equipped with capable and skilled manpower, adequate facilities & materials, latest information technology system, modules etc. In addition, the organization has developed and institutionalized fairly financial policy and manual to follow Bangladesh Accounting Standard as well as organizational transparency and accountability aspects. We also develop “Organization Discloser Policy” and follow the RTI Act. 2009 in all aspect of the organization. Grameen Alo is a lead/focal point of USAID funded “DAI’s PROGATI (Promoting Governance, Accountability, Transparency and Integrity) project-Strengthening Civil Society Coalitions to Support and Promote Transparency and Accountability at the Local Level”. 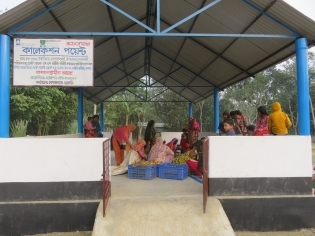 Through direct supervision of Grameen Alo, 35 nos. 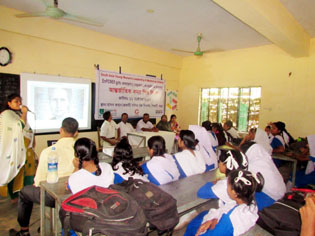 of PNGOs form Bogra, Joypurhat, Rajshahi, Lalmonirhat, Dinajpur, Sirajgonj and Panchgarh districts. During this period, Grameen Alo received technical and financial supports from DAI and successfully (i) built 53 nos. of specialized Citizens Forums as third party monitoring team to monitor government services; (ii) used community scorecard process to generate field level information; (iii) developed action plans through interference meetings with service providers and users; (iv) developed Citizen Charters and (v) arranged dialogues for national budget oversight and anti-corruption campaigns. This civic engagement mechanism for service specific accountability issues has succeeded to build a sustainable partnership between service providers and users. The organization has completed all of its assigned responsibility in a timely manner with skill and honesty. 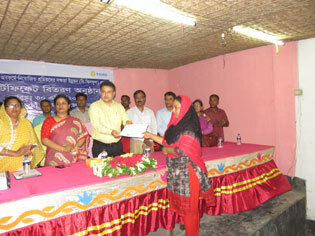 Grameen Alo accomplished the following as a lead of the project- , I. 46,500 posters; 12,000 leaflets 33,000 sticker design, printing and delivery to PNGOs, ii. Technical supports, iii. Monitoring, IV. 61 nos. of event progress reports, v. Fund management. 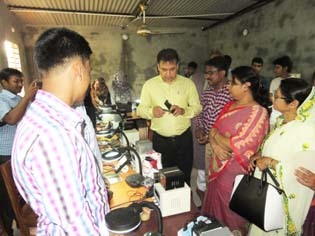 Grameen Alo has “Entrepreneurship Development Network” for sustainable development and market linkage of women entrepreneur in Bogra District. 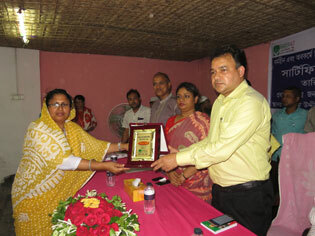 We have been performing as Focal NGO with strong network with DOORBAR in Bangladesh. We have specialization on Citizen Forum & Adolescent Forum Approach. Through this forum we have been trying to enhance transparency and accountability in different service provider in Union Level, as well as providing different awareness program like i. Nutrition, ii. Sexual Rights & Reproductive Health, iii Stop Violence Against women at School & Group level. To establish a society where every people feel free to access their rights. 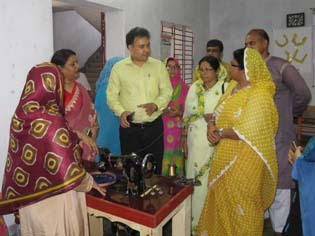 To enhance knowledge based skill development of backward people by different program implementation and help to increase transparency and accountability of service providing agencies by people’s participation so that they become able to establish themselves as earnable and dignified citizen by secure their rights. The Goal of the organization is to empower disadvantaged group of people with skill and knowledge so that they can protect their rights and develop themselves as respected and productive citizen. To build up backward people as self- reliant, by involving them in economic activities and their livelihood development besides ensuring their rights. Involve women in income generating activities by developing them as women entrepreneurs so that they become economically and socially empowered. Empowerment of Women & Girls to Promote and access Information & Communication Technology. Develop capacity of local people so that they can ensure quality services in their area. Play a vital role to increase transparency and accountability of service providing agencies. Ensure dignity and empowerment of women by reducing discrimination between male and female. Strengthening local GoB through Ensuring citizen’s participation. Our working approach aims that the focal target people will actively participate in the decision making process and this is done through their REFLECT Circles. The REFLECT Circles are the forums where the beneficiaries gathered weekly and discuss all the issues which affect their lives, share their concerns and makes collective decision to solve the issues. Finally, they setup their future activities for a month following the issues. Thus the capacity of women as leader is incising and they are learning about the principles of human rights. Also Grameen Alo involves community people and local administration in addressing the situations peoples who need care and protection. 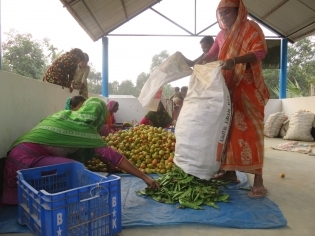 Grameen Alo has developed its financial system from the beginning of the organization. Now the financial system is running under the Financial Policy of the organization, the organization updates its policy, if necessary. Yearly External Audit should be confirmed by any authorized audit farm; etc. 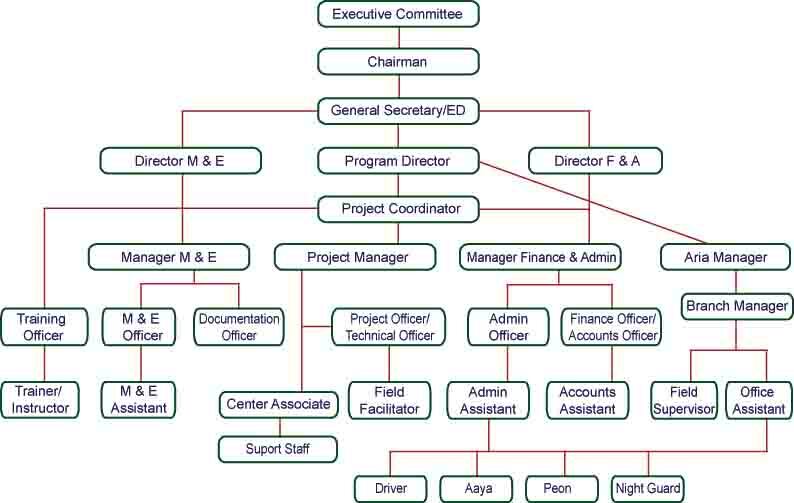 By the constitution of Grameen Alo, the organization is running under the following two types of committee. The organization has a monitoring and evaluation system. Under the system every activities is monitored by a monitoring team. The monitoring team reports to the Executive Director with necessary suggestions. The organization ensures accountability of the staffs through the monitoring system. Finally, every projects/programs are evaluated at the end of every fiscal year. Depending on the monitoring & evaluation report the organization takes necessary actions to achieve the objective project/program.